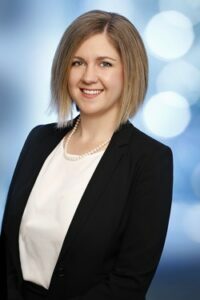 Nicole is a Senior Associate with a broad commercial practice including technology law, not-for-profit and charity law, tax, general commercial and corporate advisory. Her experience includes advising clients on software development and licensing arrangements (including mobile app development), privacy compliance and data, complex structuring matters involving corporate governance issues and tax implications and mergers and restructures. She has extensive experience acting for clients in relation to matters specific to not-for-profits and charity law, including structuring of charities and obtaining endorsements for public benevolent institutions and health promotion charities, governance and constitution reviews, assisting incorporated associations and letters patent entities in transferring to companies limited by guarantee, establishing and operating public and private ancillary funds, school structuring and accreditation, establishing public funds (including scholarship funds, school buildings funds etc), fundraising compliance, stamp duty concessions and ACNC and ATO compliance. Nicole is passionate about helping her clients identify and resolve problems and devise strategies to enable them to achieve their desired outcomes.